With no club matches on for the final Sunday of the season a few of us decided to have a little knock up on the lower end of the Isle but once again the forecast was horrible with 50 mph winds predicted. 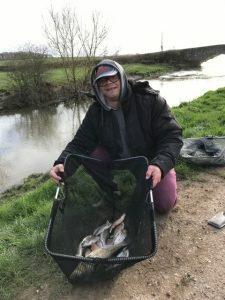 We also had a fair bit of rain in the week and when I went to have a look at the river on Saturday, it was high but fishable and at Midelney, regular reader Chris and his brother were catching some nice roach. We were due to get some more rain overnight and it would be touch and go whether we’d actually be able to get on the river. I’d arranged for Dave P to get some bait for me although he messaged to say he’d forgotten that he’d promised to take his missus out for the day but would still drop it off for me in the morning, cheers Dave, you’re a star! At the bowling club it was great to see David Simms from Stoke again and he’d brought Dan and Rob with him as well. Frank turned up for breakfast but said he didn’t fancy fishing with the strong winds that were expected. We’d originally planned to fish Midelney and Muchelney but Baz had a look in the morning and said there were only a couple of swims that would have some slacker water so we decided on using Midelney and putting a few at Isle Brewers, safe in the knowledge there would no pleasure anglers out on a day like today! After everyone had turned up, been fed and paid their pools, I announced the draw and said that today we’d pay out the winner and two sections. Digger drew 128 with Baz on 125 and Rob was in Barney’s Bend (126) I had the last ball in the bucket which was M2, the first peg below the bridge as we were trying the one above the bridge for the first time. Dan Mattock drew that one and Rob Vaughan was on my left with David next to him. We got there and the river was still up and coloured and looked lovely although it is pretty exposed and I felt really sorry for Dan who was just above the bridge as it was the only place he could get close to the water and the wind was howling under the bridge, I did say he ought to come and fish from our side but he said it was fine. 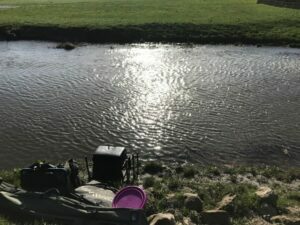 When we got down the bank, it wasn’t too bad although I would still only be able to fish a short pole and I intended to keep it really simple, one rig, a 1.5 gram DH13 to fish three sections to hand. On the side tray, I had casters, maggots and hemp plus some of the superb new Bait-Tech Pro Nat Bream Dark which I’d mixed 50:50 with Pro Nat Dark the night before. With very little gear out, I wouldn’t have to worry about stuff blowing around or worse still, in the river! Plumbing up there was a nice depth and I had a bit of a back eddy on the inside to my left, I really thought it would fish well although I was a little concerned I hadn’t seen a fish top since we’d arrived. On the whistle I baited up with two red maggots and swung the rig out and then lobbed in four balls of groundbait. I was inching the float through just on the crease of the slacker water and second put in, the float buried and I swung in a nice 2oz roach, I had it’s twin next chuck and then another, it was solid! I saw Rob land a good roach on the stick float and then I netted a decent one of 6oz or so, I was getting a bite a chuck but also snagged up several times on some weed if the rig swung into the back eddy. After an hour I had 31 roach for around 4lb and thought a really good weight was on the cards. Rob and David were both catching on the stick float and I’d seen Dan swing in some small fish above me. The second hour was similar but I was starting to get fish in spells and was having to chase them round a bit, in amongst the roach I had a chublet, a dace, two gudgeon and a stubborn little ruffe! We had a couple of heavy showers and Rob put his brolly up but it was short lived when the wind tried to blow it inside out! I was feeding hemp and casters and also started putting in a small ball of groundbait every 15 minutes or so. As the second sixty minutes came to a close I’d added another 24 fish and was up to 7lb and I was really enjoying myself (apart from the wind!). I snagged up several more times, losing a couple of hooklengths and even straightened out a hook on something solid and my bites slowed right up in the third hour and from what I could see, it was the same for the others too, Rob was now on the feeder and David had got off his box to set a pole up. A quick try with caster resulted in a couple of quality roach but it didn’t last and I kept having to vary things to get bites, flicking the rig out as far as I could, holding the rig back hard and inching it through. With about two and half hours to go, sport tailed off for me and I noticed David was starting to catch well on the stick and he even had a few fish on the pole across when the wind allowed. I stuck on another pole section and had a really good spell, catching some nice roach. Frank turned up to see how we were getting on and I had half a dozen fish while he was there including my best fish of the day, a lovely 10oz roach. He said Dan was catching small fish quite quickly above the bridge but the conditions were doing him no favours at all! My catch rate continued to tick over and it was nearly all roach apart from another gudgeon, a tiny ruffe and a couple of silver bream. 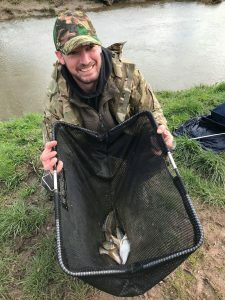 About an hour before the end I noticed David was into something substantial and he netted a big chub that looked to be getting on for 4lb and I’m sure this stretch holds a lot of surprises, big perch, even bigger roach and there must be some bream along there as well. I shouted the all out and my clicker was reading 107 fish which at 2oz apiece would give me around 14lb, hopefully a little more. 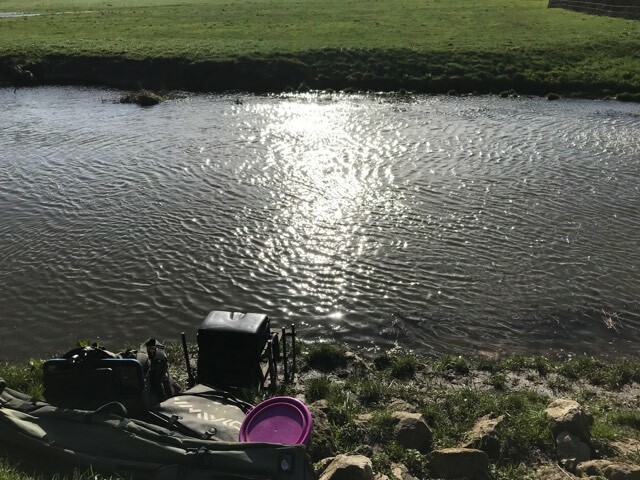 I packed up and went to weigh Dan in first, he had loads of small fish for 4lb 4oz, David had that chub and some roach for 7lb 4oz, Rob had 2lb 4oz which included a couple of lovely roach but he’d struggled a bit on the tip. 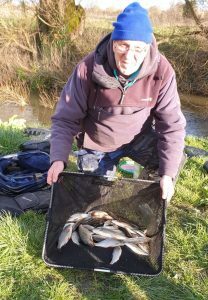 My fish went 15lb 12oz so not too far off with my estimate and I’d at least won the section money but I wasn’t sure it would be enough to win the day as all three pegs at Isle Brewers were well capable of beating my weight. So a lovely way to end the river season for another year, a net of quality roach, a match win and I picked up £60. 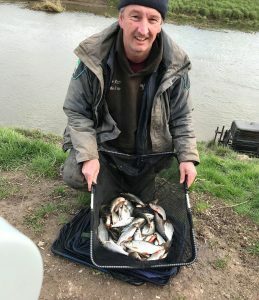 In more favourable conditions I’m sure the weights would have been a lot higher and it just goes to show there’s loads of fish at the bottom end of the river. It was brilliant to meet some more of the Stoke lads and I’m really looking forward to fishing some of their matches soon. 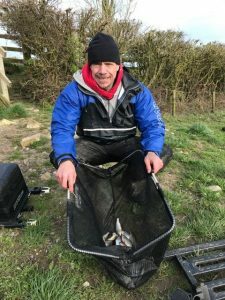 Just looking back at my results on the rivers this season (Isle and Parrett), it’s been a fantastic year really, I’ve fished twelve matches and had six double figure weights including two over 20lb and apart from one match where I only had three minnows, my lowest weight was 4lb. Recently arrived at Somerset Angling. Matrix boxes and accessories to add to the extensive range of Preston and Drennan gear . 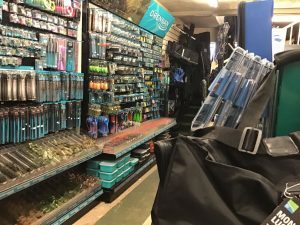 Shop run by anglers for anglers. Tel 01278 431777. Great write ups, enjoyed reading them.